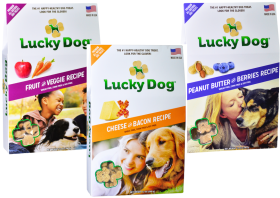 Try this bundle to receive three flavors of Lucky Dog® Treats the perfect daily snack. Serve as a reward or just to make a tail wag. Copyright petleader.com. All Rights Reserved. eCommerce Software by 3dcart.